Young Contracting strives to maintain a high safety standard and to keep our employees up-to-date on the latest safety trainings. These trainings can help on and off the jobsite. Mike Nichols has continued his safety training throughout his career and places high value in it. 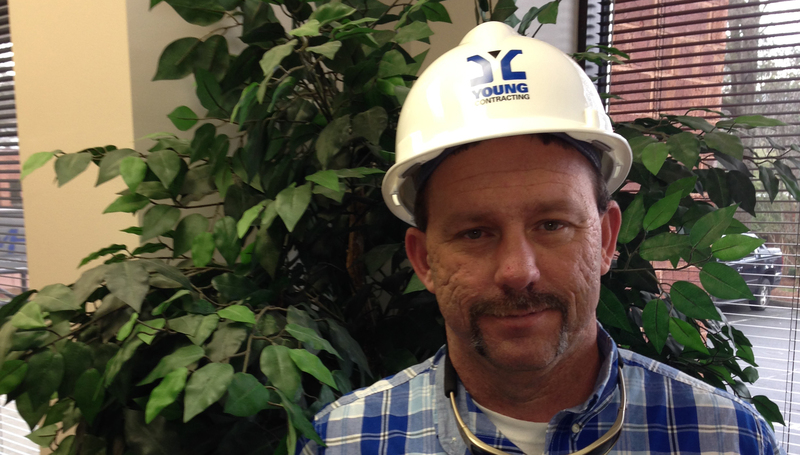 “The safety training that I have received means a lot to me. If I can save somebody’s life on or off the job because of the training that I have received, it’s a great feeling. In everyday life you just don’t know what is going to happen right in front of you, and with the training I have received it’s good to know that I can help in the time of someone’s need..” said Mike of his training. On August 17th, Mike Nichols and Dan Corell were leaving The Collection in south Forsyth when Mike saw a car veer off course, jump the curb, and head into the woods. Mike, realizing something was wrong, went to assist the driver. Upon reaching the car, he found an unresponsive man in the driver’s seat. He and Dan Corell broke the window and Mike immediately started CPR. He continued to perform CPR until the EMTs arrived and the man was taken to a nearby hospital. The hospital would not release his condition to us as we are not family members. We congratulate Mike in his efforts to give this man a second chance at life.